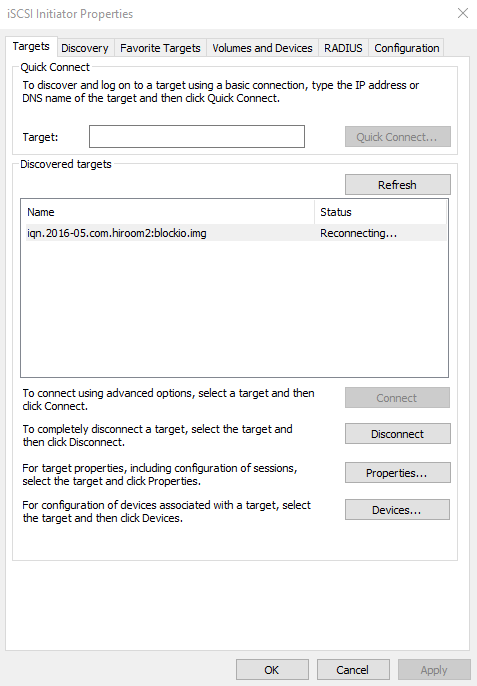 This article will describe installing iSCSI target and sharing with Windows 10. A private network address is 192.168.11.0/24. Change ISCSITARGET_ENABLE to be true. Add access permission to localhost and private network. Export a file as a volume. Export a block device /dev/vdb as a volume. Type to fileio in case of a file, blockio in case of a block device. Windows 10 has a iSCSI initiator. After connection with iSCSI initiator, you can initialize volume with Disk Management and use it as a drive.